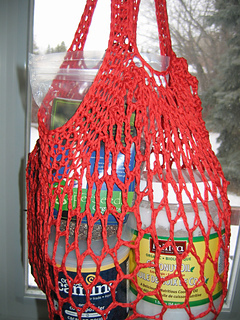 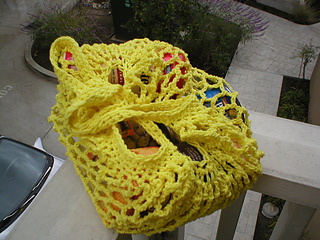 This is a quick, easy to make bag that mimics the mesh bags sold at health food stores. 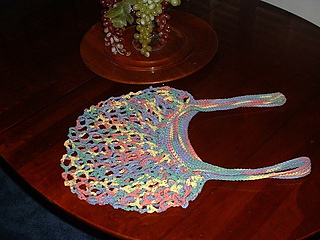 Using different yarns and hook sizes, you can make these as big or a little as you want. 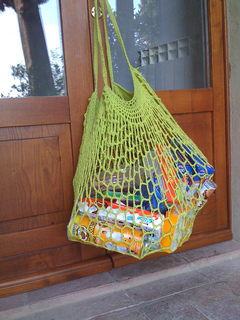 The shape is not very typical, but it stretches to accommodate a huge amount of stuff.